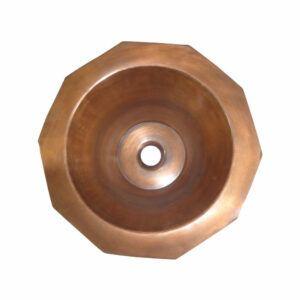 Diameter 16″ & Depth 6″. 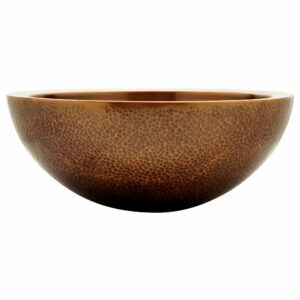 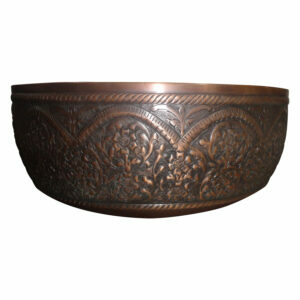 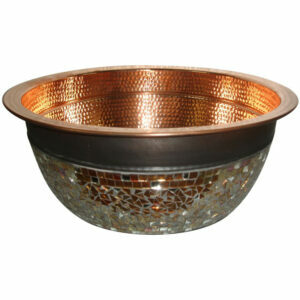 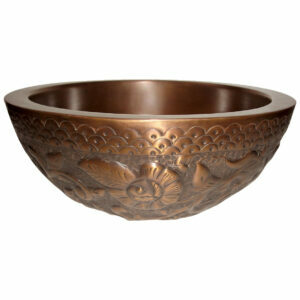 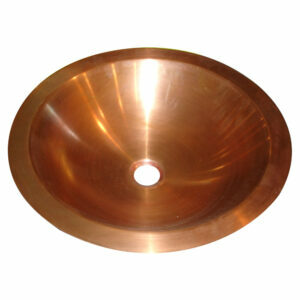 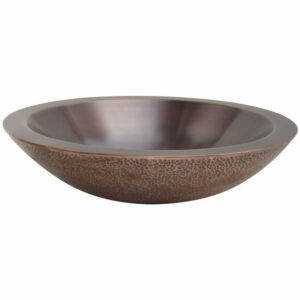 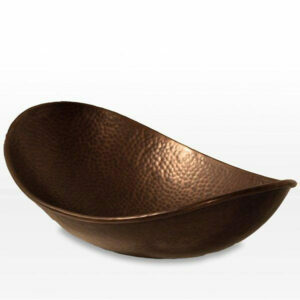 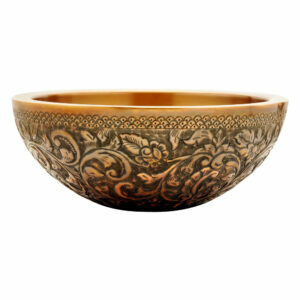 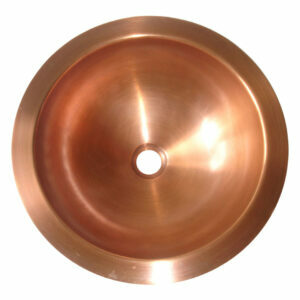 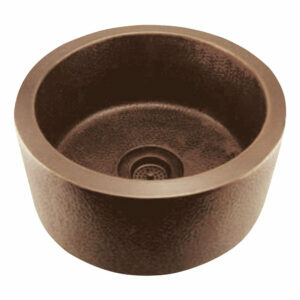 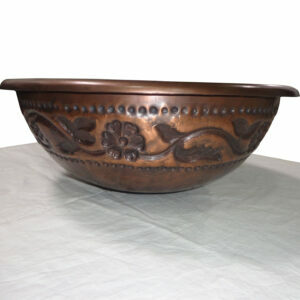 Made of pure durable 16 gauge copper sheet. 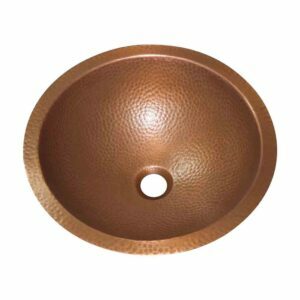 Antimicrobial properties which prevent bacterial growth. 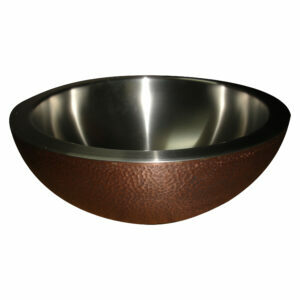 Hammered exterior surface for enhanced look & feel. 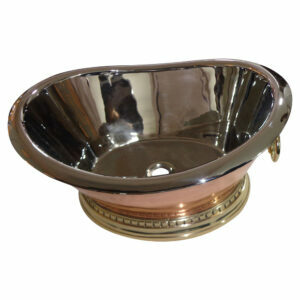 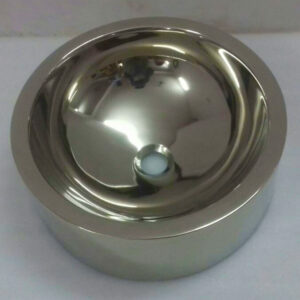 Good for bathroom, vanities & dining room. 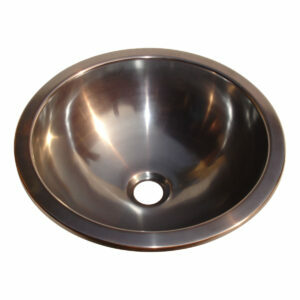 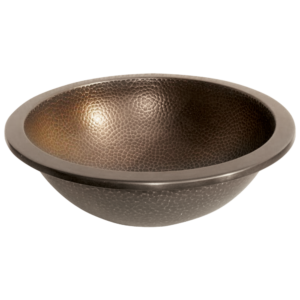 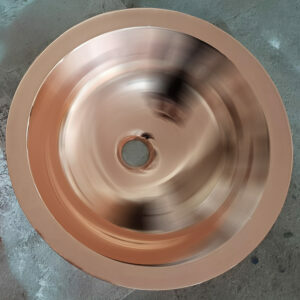 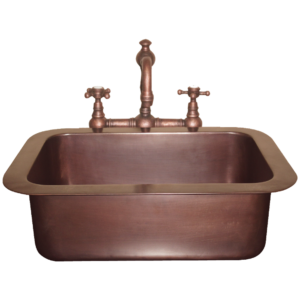 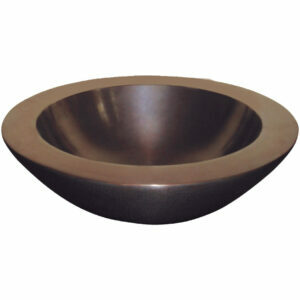 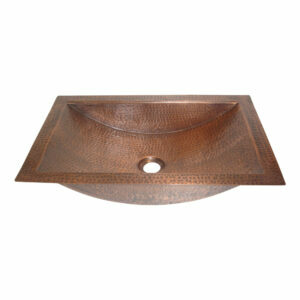 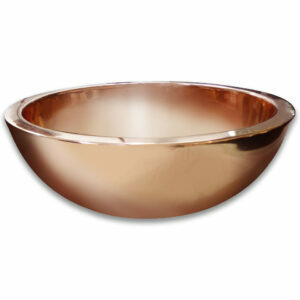 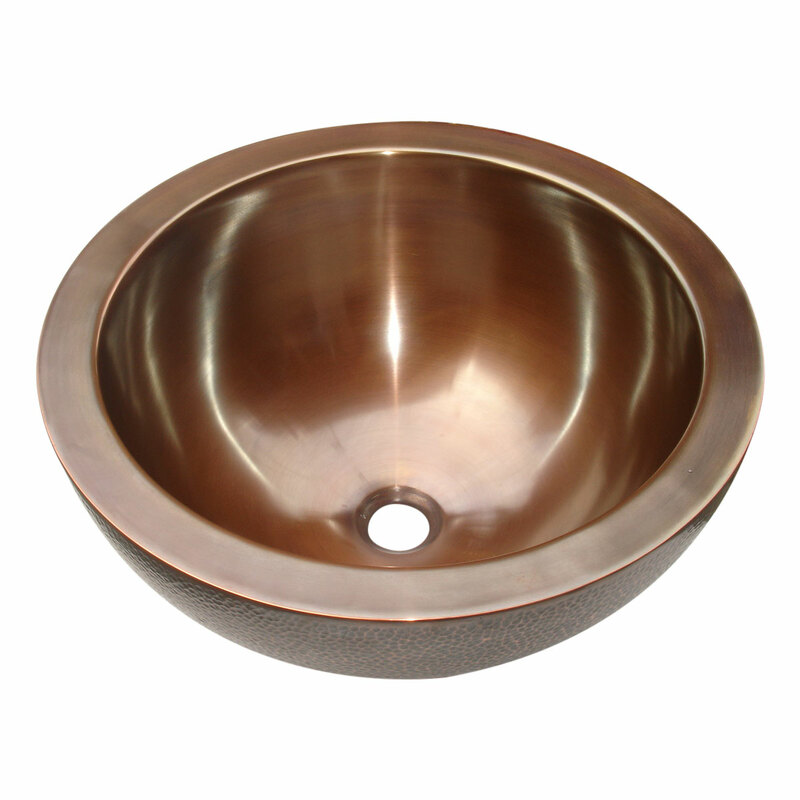 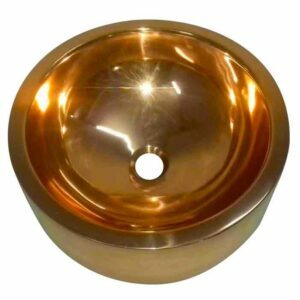 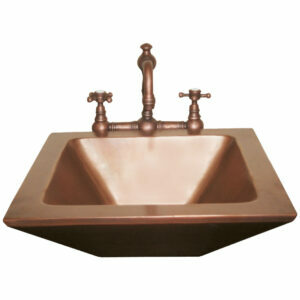 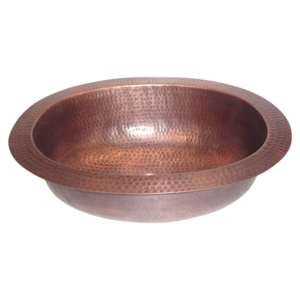 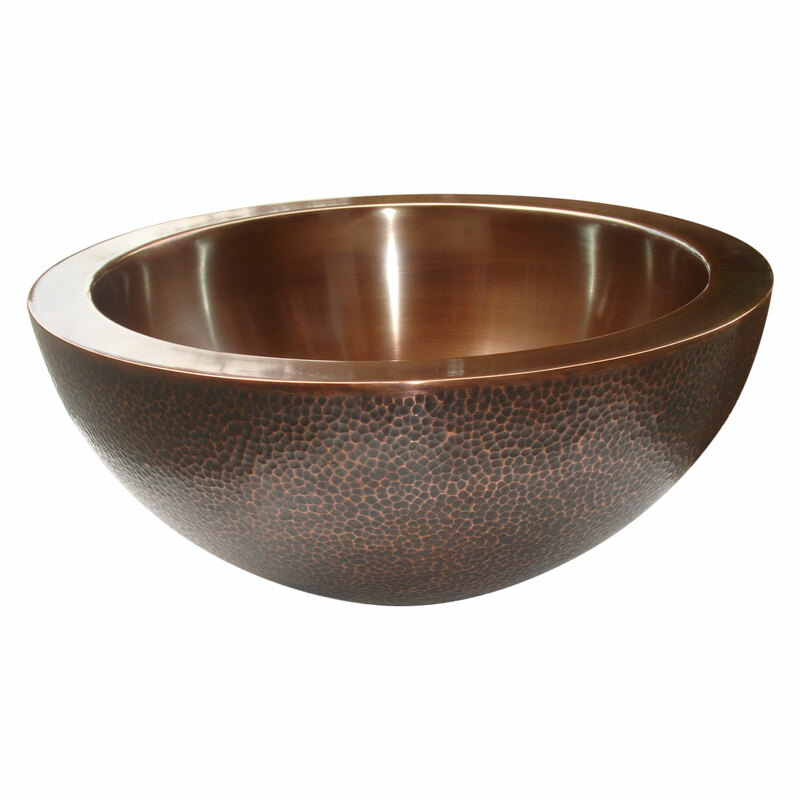 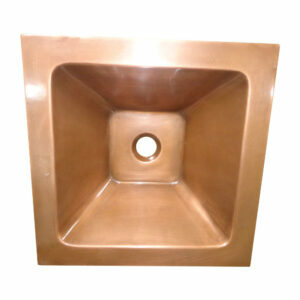 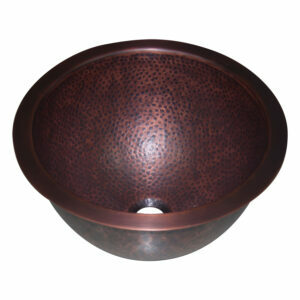 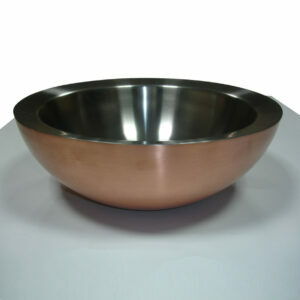 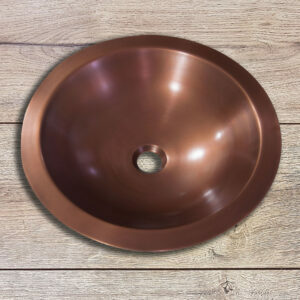 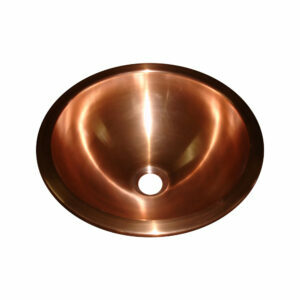 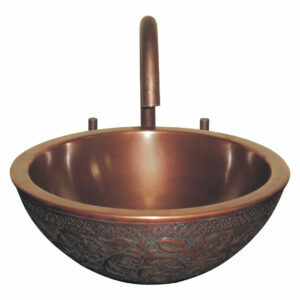 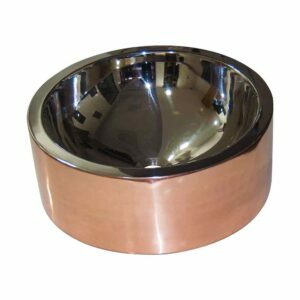 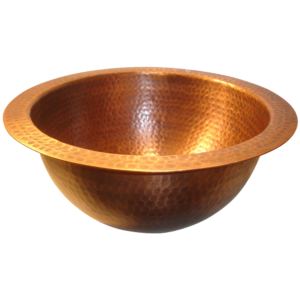 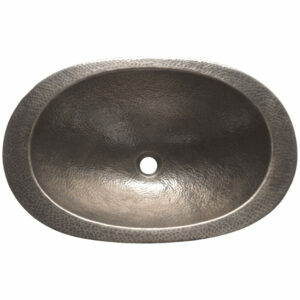 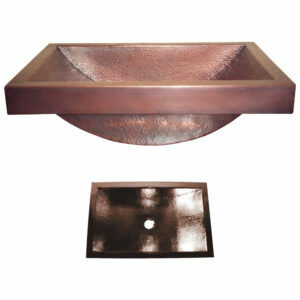 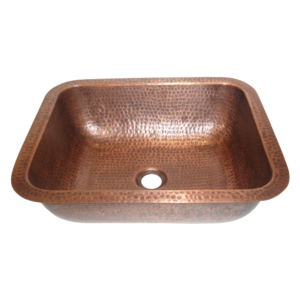 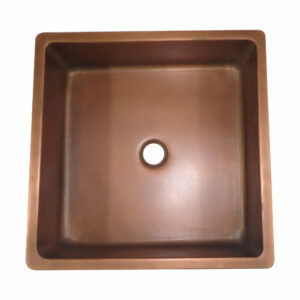 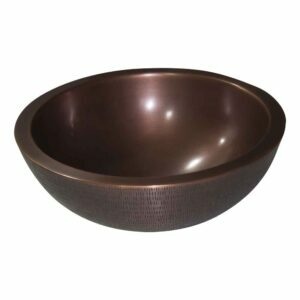 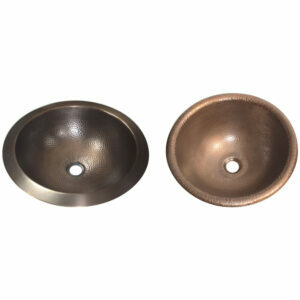 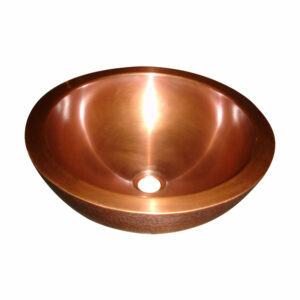 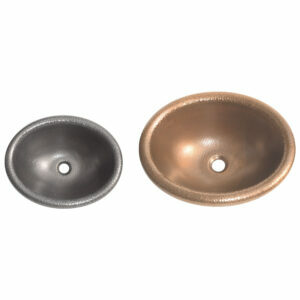 The Outside Hammered Copper Sink is a double wall copper sink with smooth lustrous copper interior & hammered copper exterior.